BUT, YOU CAN GET STARTED NOW WITH A FREE TRAINING! Wahoo, your link to the free training is on it's way! Go check your inbox. 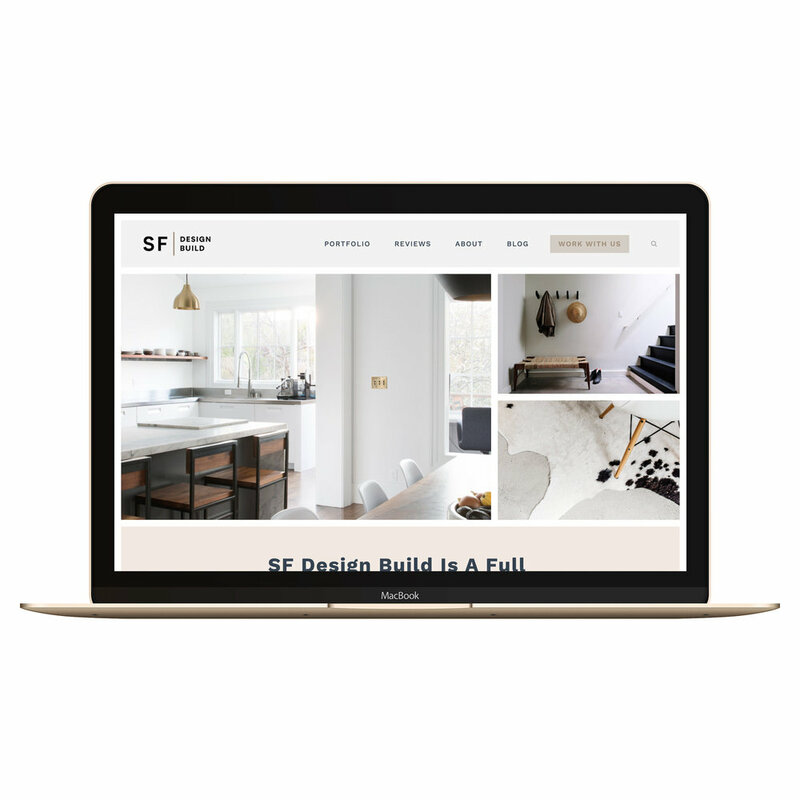 The tech of building a site is straight up overwhelming you! Every time you start Googling to find the right site building platform, you kinda just want to crawl back under your covers and hope a miracle happens. Sound familiar? No worries, I've got you covered! Can I watch it right now? Yep, you get instant access to the training! 1. The 1 magical line of copy that gets people to stick around on your site! 3. Why no one cares about your newsletter, and my simple secret for exploding email subscriber growth (and therefore income)! 4. The 1 and only thing you should worry about visitors doing on your site - and how to get them to take action! Whooops, I forgot to introduce myself! I'm Paige, a roaming web designer, blogger and online educator. I'm from Toronto but I run my business from the road as a digital nomad. Frozen margs are my drink of choice and I'm always game for Taco Tuesday! 4 years back I had a dream to start a travel blog. I knew how to travel already, but knew a whole lotta nothing about website building. Now, I'm now a web design expert, running a go-to web design blog that has helped over 100,000 readers! I've turned my own, my clients and my students sites into 24/7 marketing machines that sell out services consistently! And now I'd love to help you too! My hair might be big, but it's not full of secrets! I'm sharing all my secrets in my upcoming free training! So what are you waiting for?! Get inside the training now! Excited to see ya there! “We are already back on the 1st page of Google and we just launched! We also received three excellent prospective client inquiries today (we just went live last night) and and one of the inquiries (who found us through Google) is a large whole family historic home remodel, which is totally our ideal project + client! This course covered everything I was hoping to learn and then some. For eg., the content creation docs and guidance was unexpected and pretty much a game changer. I really appreciate the bonus trainings and info sprinkled throughout AND that Paige has taken the time to add updates. I super love how organized it is, and Paige gets right to the point with everything - there is no "fluff,” it's all actionable and helpful content. She also has a fun-spirited personality that makes binge watching the videos enjoyable! If you take this course, you will basically have a step by step guide to show you how to do everything right the first time around. Not only will that save you tons of time, but it will also put you at ease knowing your website sells for you. Having a website that you are confident in, and that your ideal clients are happy to hang out on, is something every business owner deserves! Our new site builds our professional reputation, positions us as experts, shows off our beautiful projects and fantastic client reviews. “Before taking the course I just felt SUPER frustrated. I had built basic sites before using Squarespace, but always followed a given template and never felt like I actually knew how to change things. I knew I wanted my site to be good, but didn't know how I could achieve that without hiring someone. (Now the site is launched) it’s already brought in an income within its first two weeks. I've managed to earn a great amount of passive income within days of launching and I've had people book in my services as they can now clearly see what I do. This was over the Christmas break so it was amazing to be earning money while on holiday! I've also had soooo many people ask "who built it for you" and then are shocked to find out that I did it myself. I've paid 2x - 3x this for other courses and they have absolutely FAILED to deliver anything new. This was not stuff I could Google easily. I felt like Paige actually WANTS you to succeed and finish and do the damn thing! She's not selling hope, she's selling real, practical advice that if you implement WILL get you your great site. Having a website has finally allowed me to launch other things like my first eBook, an online course etc. It's also meant I can just send people there to see what I offer and prices rather than going back and forth over email or jumping on a call. I am switching gears from accountant to web designer, and have had a slight lack of confidence in presenting myself as a designer. I'm excited to show off my new site and I’m confident I can gain plenty of clients because my work will speak for itself. I have taken many courses over the years, and this by far was the best value for the money. I think about all of the content, the fact that it was step-by-step, so in detail, and how much I would've spent for say, a comparable college course. The cost of this course was so minimal compared to all of the great info received! "Ohhh, yes I want in the training!" Click here to watch right away!